Admittedly, I’m biased, but I think I have the best Easter egg evah (apologies to Faberge and the Russian royal family, but mine is wearable). 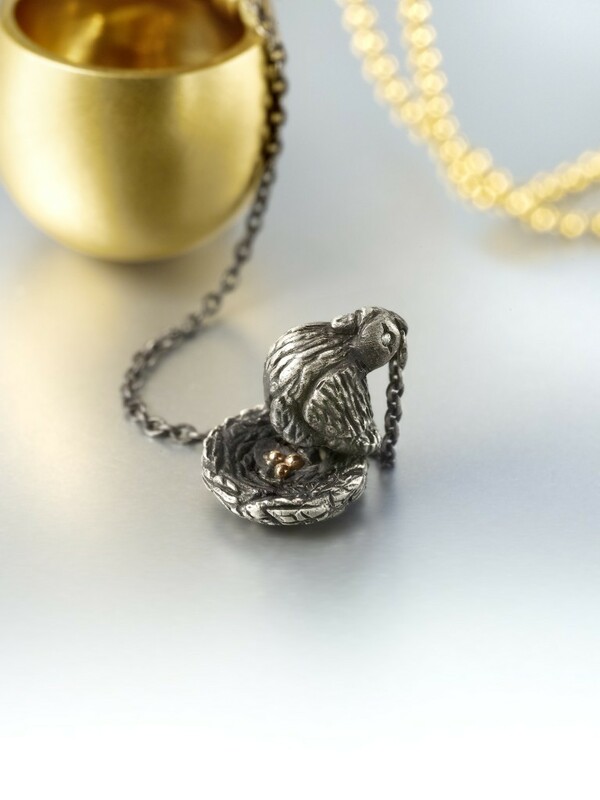 View 1 of my egg locket. Click to purchase. 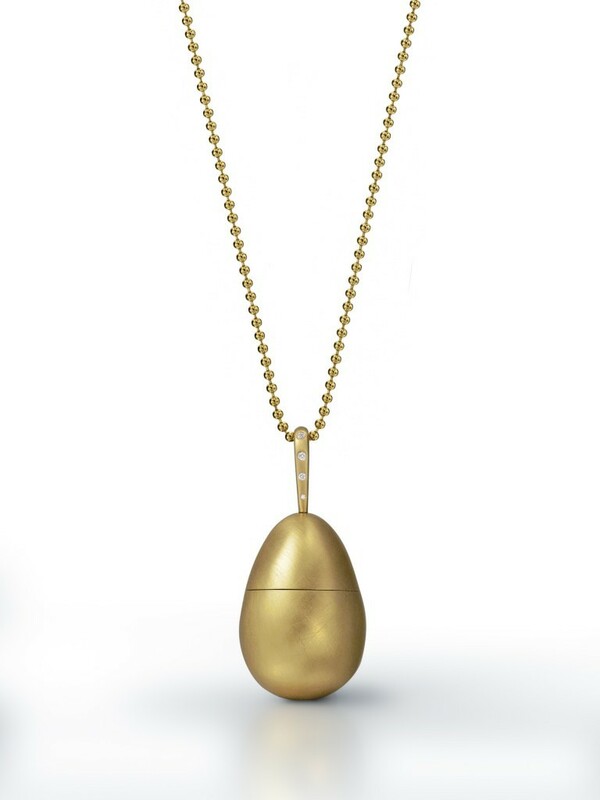 My egg locket is made out of 18K yellow gold and it has a surprise inside. Look at the silver hen with her diamond eye! View 2. Click to purchase. But why stop with one surprise, when you can have two surprises? The hen opens up to reveal three tiny gold eggs. View 3. Click to purchase. This design wasn’t inspired by Faberge — maker of the most famous jeweled eggs — but by a piece I saw in the Danish royal treasury. 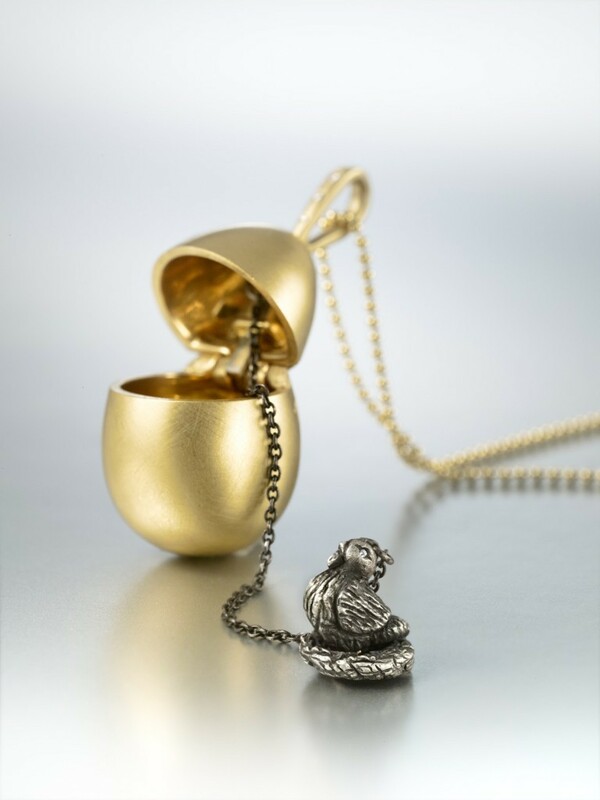 Some people think that the Danish-owned egg, which was made in Paris in the 1700s, actually inspired Faberge. 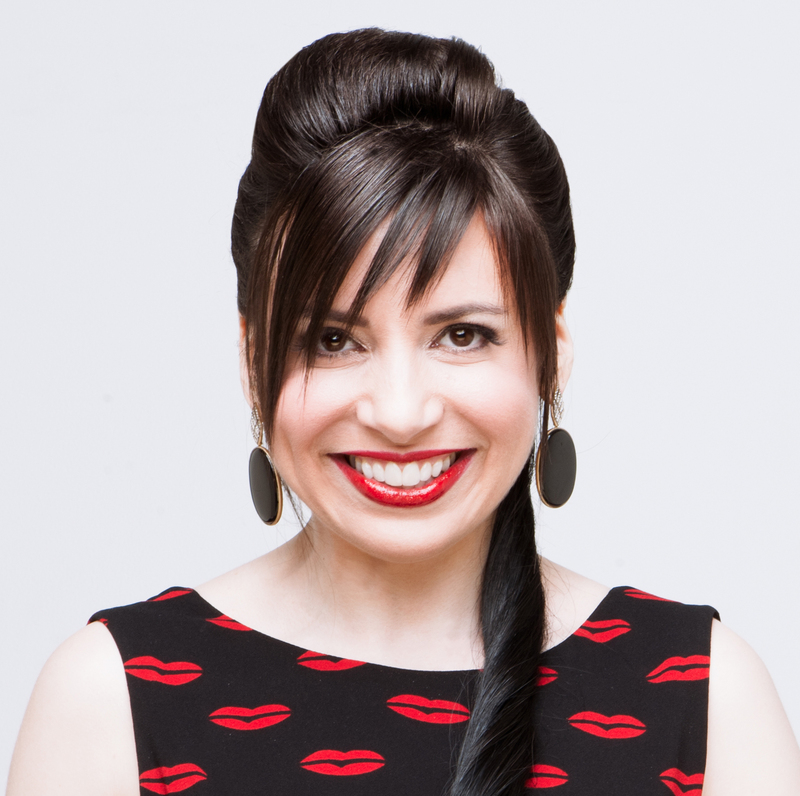 I’m wearing the necklace in this photo from 2014. For a small piece, it really stands out, doesn’t it? Hope you’re having a delightful Easter weekend, and that you haven’t eaten as many extra-large Peeps as I have. 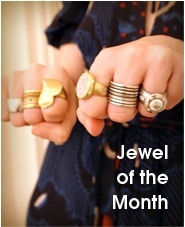 Monday: Please vote for my jewelry in the InDesign awards. I’m entered in four categories. Tuesday: I am an expert when it comes to redesigning old jewelry. Even engagement rings! Wednesday: Wearing a dress that I first wore in 2004. Thursday: I’ve decided to wear my vintage dollar dress again, as soon as an opportunity arises. Friday: I have one pair of silver bunny studs for immediate delivery and they’re cute enough to wear all year long! No need to save them for Easter. And on Instagram, I walked you through my four nominees for the InDesign Awards. I also re-shared this photo of a lariat/Y-necklace/bikini necklace that I first introduced last summer. 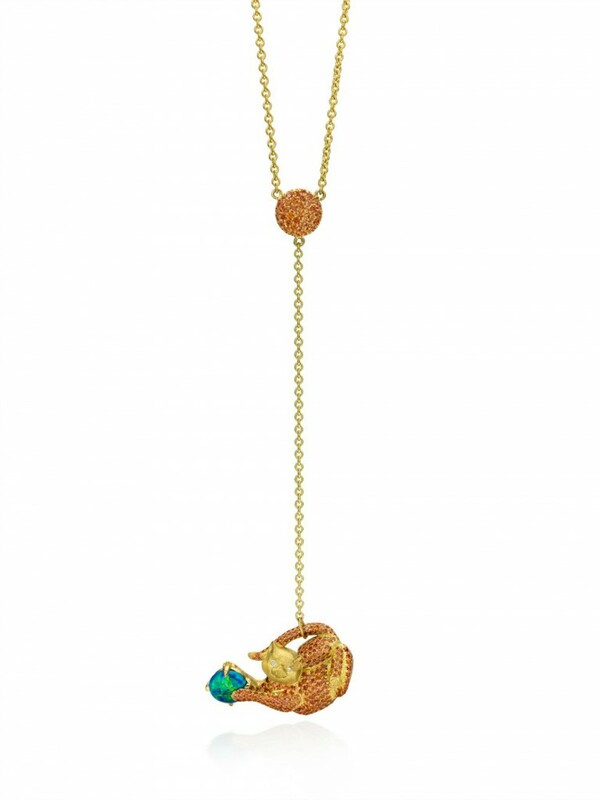 According to Refinery29, lariats are all the rage now! 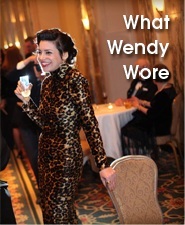 If you want a custom lariat that looks like your beloved pet, holla at me at info at wendybrandes dot com. Here’s my test subject: my own FitzRoy the cat in 18K yellow gold, orange sapphires and opal. You can also buy my platinum arrowhead lariat here.